(PRLEAP.COM) December 6, 2018 - Launched in 2017, WP Tech Support offers a personal support service at an accessible price point for businesses, agencies, and individuals. The company was set up to protect and maintain WordPress websites so that they run to the highest level of performance. 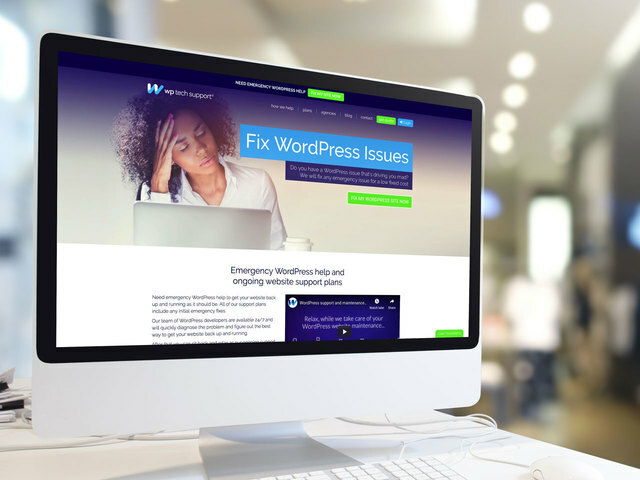 In addition to ongoing monthly support plans, WP Tech Support has added a new one-time fixed fee service to fix any WordPress site issue. The team of highly experienced WordPress developers will quickly fix any WordPress issue and get the WordPress site back up and running. The team of developers are available 24/7 and will quickly diagnose the problem so that business owners don't have to worry about errors, broken code or display issues preventing them from giving clients the best service. There is nothing worse than having a WordPress issue that's driving you mad, and which you can't seem to fix yourself which is where WP Tech Support steps in. Not only is the process quick and simple, but if for some reason they can't fix the issue, they will refund your money. While the majority of WP Tech Support's clients sign up for on-going WordPress maintenance, the new service is ideal for those who don't have the budget available or the need for continuous support. Commenting on the new service, CEO Dave Macdonald said, "While all of our monthly support plans include any initial emergency fixes, the feedback we received from clients was that they would like the option to purchase a one-time emergency fix rather than commit to a monthly payment plan – particularly start-ups who have a limited budget. Transparency and value-for-money are paramount and as such the new service offers a fixed one-time cost with no hidden extras." Step 3: Your WordPress website is fixed and everything is working as it should be, time to relax. You can also sign up for monthly ongoing WordPress support with price plans from just $45/£35 per month. Leaning on WP Tech Support's industry experience, there is also a white label solution for agencies and freelance website designers to ensure client sites and performance issues are a thing of the past.